If you’re stopping by Mama Love Quilts for the first time, welcome! I’m Nicole, the Mama behind Mama Love Quilts! I love to make modern quilts and other home decor items using improvisational and traditional techniques. Check out this mosaic for what I’ve been stitching lately. Sew Lux Fabrics is generously sponsoring a giveaway of a $25 gift certificate to one lucky reader. Sew Lux Fabrics is an online store based in North Carolina and run by a mother-daughter duo. I have always had a great shopping experience with them. Their customer service is excellent, they have a great selection of modern fabrics, and their deals are superb! By the way, they are having a Stocking Stuffer sale this week that you might want to check out. 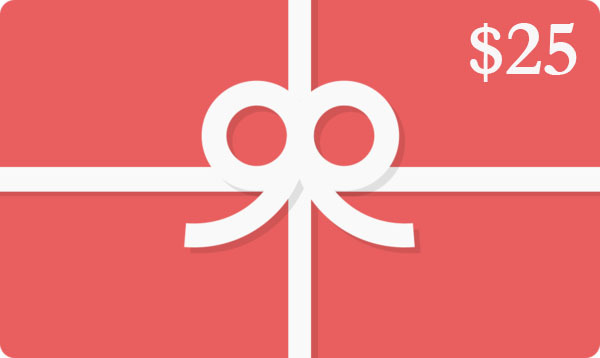 One lucky reader will have $25 to do a bit of holiday shopping! 2. Follow my blog (via Bloglovin, Google Friend Connect, email, RSS, etc.) and let me know in a comment. If you’re already a follower, leave me a comment letting me know (one entry). 3. Follow me on Instagram (@mamalovequilts) and leave me a comment letting me know. If you already follow me on Instagram, leave a comment letting me know (one entry). 4. Like me on Facebook or follow me on Twitter and leave me a comment letting me know. If you have already liked me on Facebook or follow me on Twitter, let me know in a comment (one entry). The giveaway will stay open until Sunday, 12/13 at 8 p.m. EDT. I’ll let Random.org pick the winner. If you are a no-reply blogger, please leave your email address in your comment so that I can contact you if you win. If Random.org selects a winner that does not have an email address available, I will use Random.org to select a new winner. If you are not sure whether or not you are a no-reply blogger, check out this post by Adrianne at On the Windy Side to find out. While I will be unable to reply to comments, please know that I read each comment and appreciate the time you took to enter the giveaway. I want to learn curved piecing! I follow by Instagram too! I would love to learn threadpainting/free motion embroidery. I would like to learn how to sew curves a bit better. Thanks for the chance. I need to learn much more about FMQ! I'd like to learn how to snug up the legs in my jeans and slacks. I have a tummy so I need a wider waist band but then the legs are baggy and I feel like I have on clown pants! I would like to become more proficient at machine applique techniques! I'd love to learn EPP… It looks amazing!! I would love to take some fmq classes and learn how to do more intricate designs. I am already following you via Bloglovin!! Thanks! I need to learn binding. I want to learn free motion quilting! I am going to try quilt as you go this new year. Thanks for the giveaway! I'd like to learn free motion quilting this year. And now I follow you on instagram. Love all that you do! I'm signing up to follow you on Instagram. I would like to learn about quilting on a long arm machine. Thanks for the chance to win! I have done one appliqué project via a class at my local QS- I would like to become proficient in appliqué. I want to improve my garment sewing for myself. I had just started when I got pregnant and put those plans on hold! Awesome giveaway! I'd love to learn FMQ. I need to get away from stitching in the ditch, hehe. I'd like to learn how to mend. Isn't that silly? I've never learned. Need to learn to sew curves without pinning it to death! I just recently learned how to do a lone star. But I want to perfect it and make another this year! Thanks for the giveaway. I want to learn to quilt beautiful feathers! I'd like to learn to make flying geese! I would rally like to learn FMQ so that I am proud of how it turns out. This has been a area of struggle for me for years. I'm a long-time follower. Now via Feedly. Thanks! This coming year, I'd like to work on my sewing techniques for clothes. It's been a while and I want to work on making and customizing my own clothes. I want to get better at applique. I would love to learn to face my quilts – a girl at my Guild (Bits and Bobbins) uses this technique and I love the look. I would like to learn to appliqué. i would like to learn/try sewing with isoceles triangles. I would love to learn FMQ. I've dabbled in it a little bit but I think my basic sewing machine is just too limited in what it can do so I'd love to get my other machine working so I can play on it. I would love to make clothes. I would love to make my first quilt in the coming year. I would like to learn to quilt as you go. I have a fancy pants serger on lay-a-way… so I want to learn all about sergers and sewing with knits this year. I'd love to learn to sew curves. There are some great quilt designs out there with curves in them. I'd also love to spend more time working with curves. I'd like to learn how to really do free motion quilting. I can do it somewhat, but the results aren't what I am hoping for. I just signed up to follow you on FB. Thanks for the giveaway. I would love to really love to jump into FMQ. I'd like to try curved piecing and custom quilting. Thanks for the chance! I need to improve my long arming skills, thanks for the chance to win! I follow your wonderful blog via email, thanks! I want to re-learn english paper piecing. I follow your blog on Bloglovin. I'm incredibly late to the party on paper piecing. Maybe I'll tackle that in 2016. I can't think of something I want to learn (at the moment!) but after sewing for 50 years… I've done so much…but…I do intend to get back to appliquing more on quilts. I used to do that alot on clothes and loved it.. and think I still do! So I will be re-teaching myself that! I follow you the old fashioned way…email!!!! I've got paper piecing lined up for next year! I was going to try it this year but got a bit side-tracked and to be honest it intimidates me a bit to get my head round it. I would love to learn Trapunto quilting. Thanks! I'd like to learn curved piecing and how to choose fabrics for a project based on color. I want to master curves!! In the coming year, I plan on refining my free motion quilting and ruler work on the longarm. Hmmm – I would like to learn a better EPP technique – my stitches can be seen and they are maybe a bit too tight. I follow you on Twitter. I am amycansew. Gret giveaway – happy Wednesday! Yes I am a GFC follower – love your giveaway! I'd like to learn..hmm, that's a good question. I'm going to go with learning how to interface bags so they are as sturdy as I want them to be, the big ones always end up floppy! 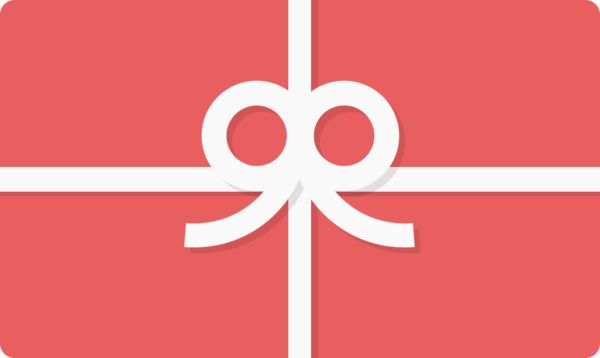 I follow you in my RSS feed (feedly) and thank you for the giveaway! And though I don't comment often, I follow you via Bloglovin. Your colour sense is lovely! In the new year I really need to focus on sewing with fabric I already have and finishing projects before I start new ones. To learn the cathedral window technique. I want to learn free quilting! I have been putting off EPP, I think this year I'm gunna tackle it! Saw a quick video about FMQ with a double needle. Would love to learn more about that technique. I have never made welt pockets…its about time I learn, right? I'd like to learn more EPP skills. I guess EPP would be the thing that I would like to learn how to do this next year. Well, besides FINISHING projects instead of being a "topper" that would be great. I need to learn to make that big step. I need to learn paper piecing. I have to tackle applique. It stops me in my tracks for some reason. Thanks for the giveaway! I have already 'liked' you on FB! I will be happy if I can learn to make beautiful seams! I'd like to learn to quilt free motion feathers. I would like to learn to stipple, pebble and do figure 8 FM quilting. I'd like to learn how to do free-motion quilting. I would really like to learn how to manipulate knit fabric to create fashionable looks for clothing. I want to learn how to enjoy knitting 🙂 thanks for the chance! I follow on blog lovin! thanks for the chance! As a beginner, I would love to work on all sewing techniques and patterns! I want to learn how to use a ruler when I free motion quilt on my domestic! I would like to learn how to quilt something other than straight lines. I follow on facebook! I love your work, and can't wait to see more! I'm following via Bloglovin now, too. I have to make time to learn free motion. It is something I really want to learn and I just need to do it. I would love to learn free motion quilting!, tried once and was not very good at all. I would like to learn more about long arm quilting. Nicole, I'm so glad I found you! Your quilts are absolutely stunning (except for that teeny tiny little doll bed quilt with a quarter next to it–just too small to see 🙂 I am absolutely delighted to have signed up to follow you via email! Thanks so much for the giveaway! I'm a beginner, so flying geese are next on my list Things I Don't Know Yet. I'd like to really learn how to bind a quilt. I would love to learn how to use a serger! I want to be able to do a whole garment with french seams! I would like to learn more about applique. Would love to learn about QAYG! i like to learn free motion quilting. I'm tempted to try English paper piecing. I am gearing up to learn EPP! I'd like to learn how to use a longarm. Looking forward to trying a bag this year. I finally want to tackle free motion quilting. I want to learn to put zippers in pouches. I would love to learn to crochet, I know that is not quilting but it is still something I want to learn. Thanks for the great giveaway. I would like to finally learn paper piecing. I just bought a CS machine, so I want to learn how to use it! I'd like to learn how to use a long-arm quilter. I'm still trying to master free motion feathers. Maybe next year I'll be satisfied with what I'm doing. 🙂 Thanks for the great giveaway Nicole! I follow you on Bloglovin. Thanks for all the inspiration! I'd like to make a couple dresses for myself this coming year. Thanks for the giveaway! I liked you on facebook! Thanks for the chance! I'd like to learn how to do curved bindings in 2016. Thanks for the chance. I would like to sew some jeans. I'd love to learn more professionally how to sew bags 🙂 Thanks so much for this great giveaway! I would love to learn FMQ! thanks!! I want to learn how to tailor patterns to fit better. The one quilting technique I'd like to learn in the New Year is how to make my own binding. I want to make more paper piecing. I'd like to learn paper piecing. I've seen so many beautiful, complex and creative blocks that use this technique, I'm really anxious to give it a try. I'd like to do some fabric painting. To put in a zipper perfectly. Mine are never quite up to the mark. I follow you on Feedly. I was your 1001st follower on FB! I want to try garment sewing for myself. I would love to learn how to sew curves. I'd love to learn to sew a bagged lining. Id like to learn simple upholstery so I could redo the cushions and ottoman on a much loved chair. I would love to learn the quilt-as-you-go method. Just started following you on twitter. Tweet tweet! I'd like to explore sashiko embroidery more deeply. Thanks for this chance! I need to learn free motion this year! Ps: thanks for the link on how to check if you're a no reply blogger, I was! I'd love to learn the Carolyn Friedlander style of quilting. I would love to learn to love hand applique. I want to hand quilt with perle cotton. I follow you on instagram. Thanks again for this lovely giveaway. I'd love to start working with leather! I'd like to learn to machine quilt! I'd like to get better at zippers and hsts. I would love to learn fmq. I want to learn FMQ…I just seem to break needles and thread…oops! I would like to learn hand applique! I'm going to do pintucks ! In the new year, I'm going to work on putting in zippers. Thanks for the giveaway! It's not a technique per se, but I'm really hoping to start a block a month quilt to learn a lot! I would like to learn paper piecing this year. I would love to learn trapunto. I am a beginner quilter and would love to learn to FMQ! I would like to learn how to sew hexies by machine without Y seams! @farmquilting follows you on twitter. farm_quilting follows you on Instagram. I'd like to learn how to do ruler work on a domestic machine. I'd like to master Y seams in 2016. I have been planning a quilt for some time that requires Y seams and haven't gotten up the nerve to try it yet. Thanks for the giveaway. When I get my new Juki sewing machine I really want to learn FMQ! Merry Christmas! I enjoy following you on Bloglovin! Sew Lux Fabrics is a wonderful shop…I have shopped with them a few times. I'm a new IG follower! I am going to try garment sewing again! Thanks for this great giveaway Nicole. I'm going to be learning more about paper piecing and working on some modern star blocks. I would like to improve my paper piecing. I have done a little but would like to get better. I follow you by email and bloglovin and google friend connect. I plan to learn more needle turn applique. I just started with Carolyn Friedlander's Collection quilt and hope that 2016 I really get to dive in! I would like to learn EQ7. I'd like to learn curved piecing. Really. I'm hoping to get up the nerve to try free motion quilting. I started following on Bloglovin! FMQ and I say that every single year lol! I'd like to work out the Dresden plate this year. I love the modern ones. I'd like the time to sit and figure out all the different feet for my sewing machine. I'm a creature of habit and always use the same couple of feet. I want to learn free motion applique. I would love to learn how to sew curves better. Thanks for the chance! I'd like to continue to learn foundation paper-piecing. I'd like to do some paper piecing next year! I would like to learn how to do paper piecing. I follow you through GFC as determined debby. I'd love to learn more quilting techniques – I'm ready to go beyond the 'safe' ones, I think. Hand quilting is something I would like to learn this coming year. Thank you for the beautiful giveaway. I am excited to have found your blog, your work is beautiful. I would like to sew with knits for myself in the new year! I want to learn needle turn appliqué and how to install invisible zippers. I would like to learn more about EPP sewing! I'm now following you on Bloglovin! I'd love to practice free motion quilting again….never have gotten the hang of it. I like you on facebook and love your work. I would love to learn to use a serger!